It is important to note that we are not qualified to diagnose or examine eye diseases. It is equally important for us and our treatment to work from accurate asked diagnoses. Therefore, we work with more skilled optometrists who can do research and possibly referring to an ophthalmologist. That way, quality is ensured throughout treatment and in addition, our treatment followed closely by regular consultations with opticians consecutively. With the start and the beginning of treatment, we always send our patients to an optometrist or ophthalmologist for assessment, diagnosis and status information. 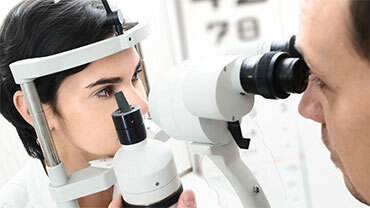 Furthermore, the following treatments monitoring and testing by optometrist or ophthalmologist. This is also important in order to validate the effectiveness of acupuncture treatment with us. We will seek close cooperation with additionally several ophthalmologists and optometrists centrally in Eastern Norway. In nearly all humans vision develop through out ours lives, and it is therefore important to regularly examine your eyes. 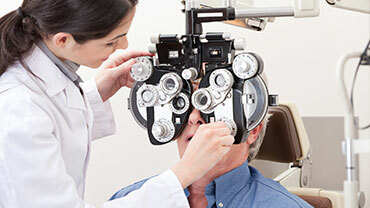 Not only do you check whether you have become more or less farsighted or nearsighted or an aberration, but also very much to take the temperature of the entire eye health condition. An extended eye examination with optomap in Interoptik involves more than finding out the strengths you need in your eyeglass or your contact lenses. Evaluation may also uncover sight problems and signs of eye disease at an early stage.e.